report for a lack of transparency and for using misleading patronage figures. The Transport, Housing and Local Government Committee budget estimates report, tabled in Queensland Parliament on Monday, says figures used consistently by Emerson regarding patronage on the TransLink network are incorrect. The report says Emerson has continuously pointed to falling patronage in an attempt to portray the TransLink network as being in crisis. Figures published in the Translink Annual Report for 2011-12 support this conclusion. But the report says the patronage figures published in the annual report for previous years, including 2010-11 are not accurate figures and therefore give rise to a false comparison. Emerson also faced criticism along with Department of Transport and Main Roads Director-General Michael Caltabiano for dodging questions on accountability and transparency. "Non-government members asked a range of questions regarding the transparency and accountability of the Department of Transport and Main Roads (DTMR)," the report says. "The answers provided by the Minister and Director-General were disappointing and did not live up to the ideal of accountability in government championed by the LNP." 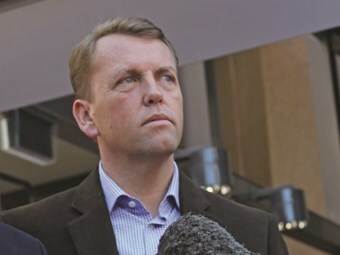 According to the report, Emerson was also asked to allow a briefing for members of the Opposition regarding proposed changes to the structure of DTMR, Translink and Queensland Rail, but declined. also asked about persons appointed to the DLO positions since March 24. "The Director-General admitted that he personally knew one of the successful applicants prior to their appointment," the report says. from his position last week for a possible ethics breach.